Categories: Chairs, Classic chairs, Made by Artigiani Veneti Riuniti. Tags: beech solid wood chair, chair, chair for dining room, classic chair, dining chair, elegant chair, elegant classic chair, furniture for house, living room chair, wooden chair. 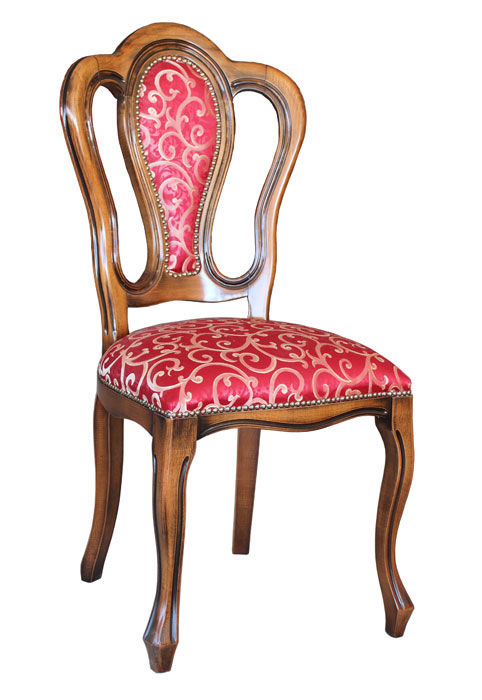 Classic chair with solid and elegant structure. The line of the back is perfectly connected to the padded backrest insert. A classic chair of timeless line. Solid and reliable structure. Bought these chairs and I’m very happy with them . The wood is solid and sturdy, the leather beautiful. Delivery was allright and on time. Would recommend buying to anyone.